Eucalyptus Oil, Echinacea Oil, Garlic Oil, Aniseed Oil, Honey and Apple Cider Vinegar. 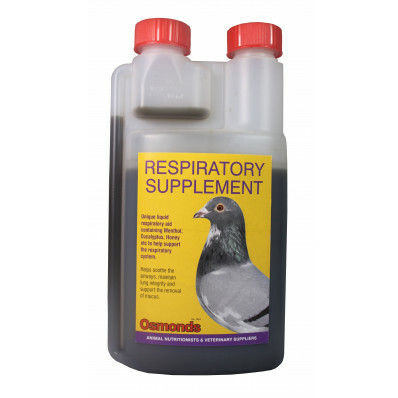 Helps soothe the airways, maintain lung integrity and support the removal of mucus from the respiratory tract. Mix 2.5ml in 2kg feed.